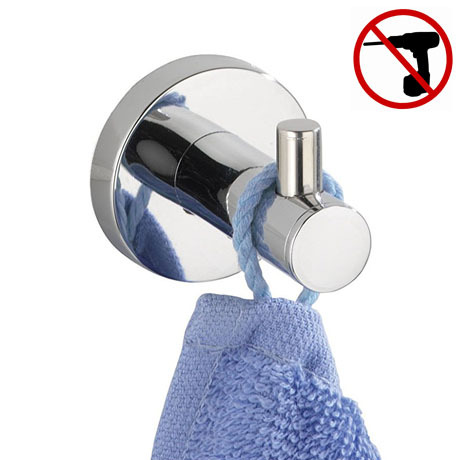 The Chrome plated Power Loc hook Elegance for bathroom and kitchen. Diameter 4 cm. You receive one hook with Power Loc holder for fixing. Extremely strong hold on all load-bearing surfaces such as tiles, natural stone, glass, concrete, metal, wood, plastic etc. In combination with the Chamber Adhesive System, the specially developed one-component adhesive offers a permanent and highly durable hold on all suitable surfaces such as tiles, natural stone, wood etc.